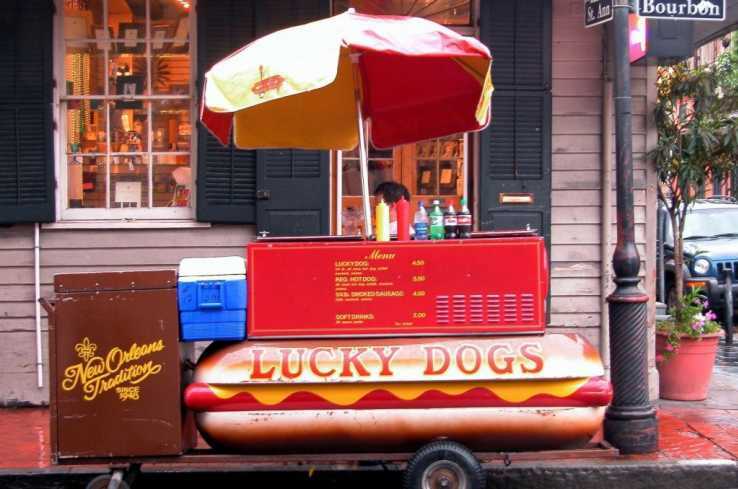 Lucky Dogs is an unique fast food company offering an impulse item that serves as a snack, an appetizer, or a meal in itself. We are ideally suited for the modern craze called “grazing” or eating on the run…A Lucky Dog in one hand, a soft drink in the other. We have proven to be highly successful in airports, casinos, malls, sport stadiums, and numerous other heavily trafficked areas where service and speed are at a premium. We’re an old company, but we have exciting new concepts. 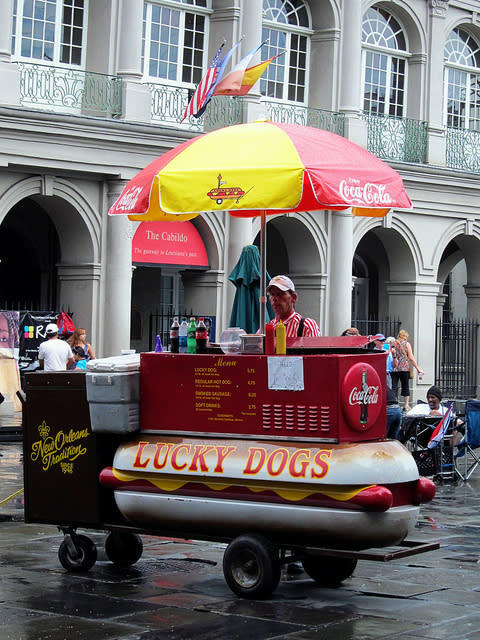 Though we do not have “golden arches” we do have a proven record-over 21 million hot dogs sold during the past fifty years. 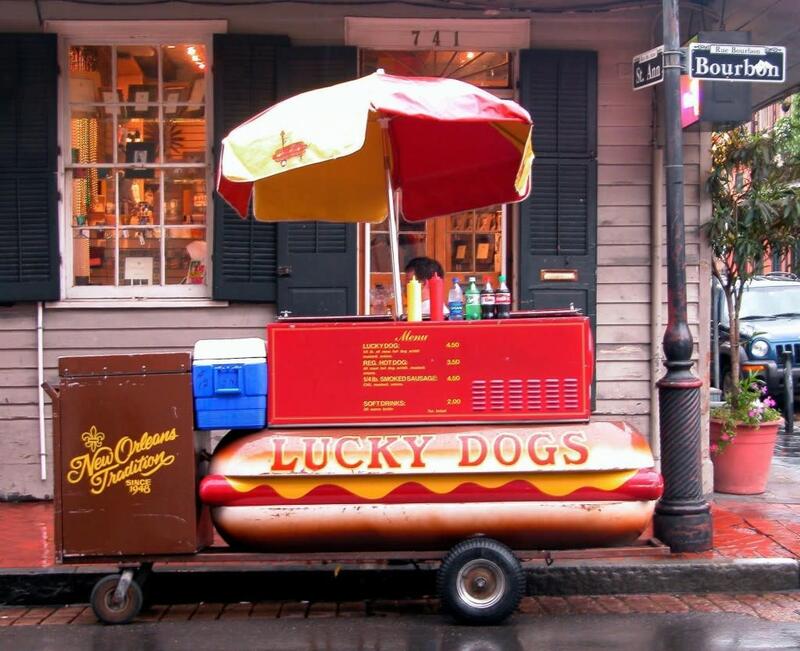 Part of our ambiance is our uniquely designed kiosk and carts which capture the character and charm of our French Quarter operation.